Yep – you guessed it – it’s another article focused on millennials and their current and future influence on the housing market. Saying that millennials are a major factor in housing is like saying the sky is blue or that fire is hot. Yes, they like avocado toast; yes, they rely on their phones for everything; and yes, they’re buying houses. But here’s where things get interesting: Many are buying homes that they struggle to afford, and this is directly affecting the residential building industry. Despite having to pay off thousands of dollars in student loan debt, millennials are opting to take another financial hit by dipping into their retirement savings to make their dream of homeownership a reality. According to the Bank of the West 2018 Millennial Study, one in three millennials raided their retirement accounts to finance their down payment. With that in mind, what is the most sought-after type of home for millennials? It’s pretty simple. An affordable one. First comes marriage, then comes children, and traditionally, a new home. Millennials, however, aren’t necessarily motivated to buy a house due to factors like kids and tying the knot, or are waiting a while to have kids. So … what is motivating many of them to enter the housing market? According to a survey by SunTrust Mortgage, one third of millennials purchased a home because they needed more space for their dogs. For those who have not yet taken the leap into homeownership, 42 percent of them admitted that their furry friend, or even simply the desire to have one, would significantly influence them to purchase a home. Renting can often present hurdles for pet owners, as many rental agreements either don’t allow pets or come with added fees and restrictions against certain weights and breeds, which is why many view homeownership as a better alternative. The bottom line? 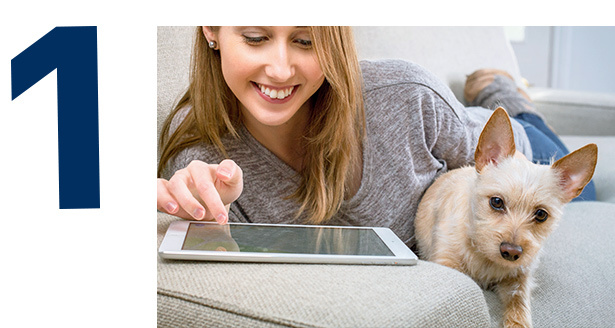 Catering to furry companions can influence their millennial owners. When you imagine a traditional, single-family home, it probably has a few bedrooms, one to two bathrooms, a living room, a dining room and a kitchen. Millennials, however, see things a bit differently. Catering to a millennial audience means throwing that traditional, cookie-cutter layout out the window in favor of a simpler, much less structured floor plan. It’s more about the experience a space offers rather than what’s in it. 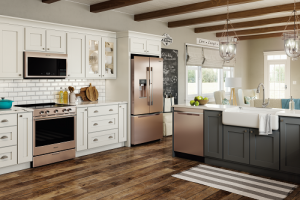 That’s no surprise to Whirlpool Corporation, which realizes that millennials are acting as a catalyst for change in the appliance industry. They are leading the demand for a better experience and higher product performance, and they’re serving as a turning point for other generations to look for the same things. For these reasons, it’s essential for builders and remodelers to select appliances that blend into the overall living space while also reflecting the warmth and beauty of the home. 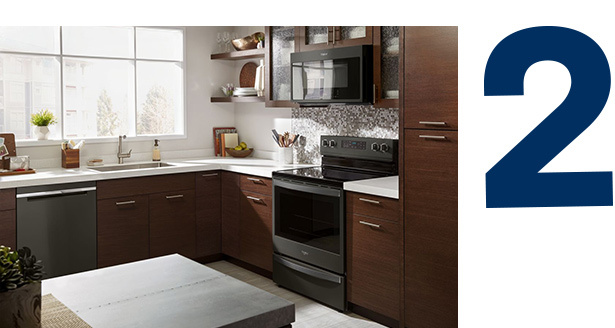 Whirlpool Corporation has responded to these preferences with breakthroughs in color and design. The company is blurring the line between furniture and machine, and is committed to developing products that seamlessly integrate with living spaces. 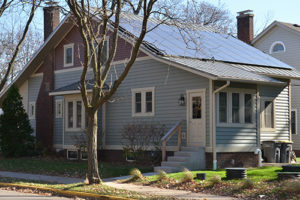 Sustainable homes are quickly becoming a must-have for this generation of buyers. A Millennial Pulse report found that 90 percent of millennials will buy from a brand if they trust its environmental practices. Nearly 61 percent of millennials feel personally responsible for trying to make a positive impact on the environment, and they want the companies and products they invest in to do the same. Instead of focusing on the upfront cost, millennials are thinking about the money these features will save them over the long term. Sustainable home amenities also make millennial buyers feel as though they’re doing their part to help the environment. They’re sticking by companies who are transparent about where their products come from and what the company is doing to benefit the environment. The more open and honest builders and remodelers can be about the environmental impact of the materials and products they’re using, the better. Whirlpool Corporation develops high-performing appliances that conserve resources and help consumers do the same. 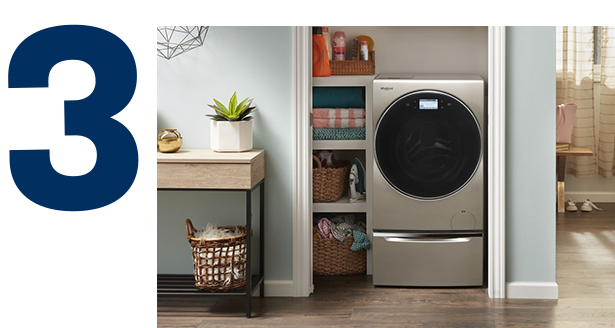 The company is continuing to optimize and innovate to reduce appliance energy and water consumption, while helping consumers reduce their own environmental footprints without compromising performance. 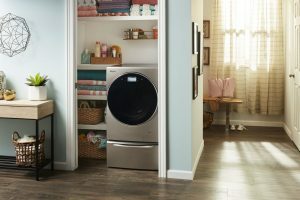 As Whirlpool Corporation moves toward an accelerated path of sustainability, it will continue to engineer, manufacture and sell world-class, energy-and water-efficient appliances with features that matter to consumers. Growing student debt and a low inventory of affordable homes on the market have influenced millennials to purchase cheaper, older homes in need of fixing up. Rather than spending money for professionals to handle the home improvement projects, millennial homeowners are choosing to take on these renovation projects themselves. According to Zillow Group’s 2017 Consumer Housing Trends Report, the younger the homeowner, the more likely they are to have made improvements to their home over the last year. Despite the fact that more millennials are DIYing, this generation has the least amount of experience in home repairs when compared to any other generation. For instance, basic home repairs like fixing a running toilet or patching a hole in the wall were things that gave millennials the most trouble. According to a study by Porch, a website that connects homeowners with local home improvement contractors, some are having trouble identifying basic tools as well, like a Phillips head vs. a flat-head screwdriver. Companies like Sherwin-Williams and Home Depot are well aware of this gap in knowledge and have started to offer classes and post online tutorials to help this generation handle essential home repairs. As homeowners build equity, however, they will likely rely on professionals more often to help them with remodeling projects – especially more time-intensive ones. 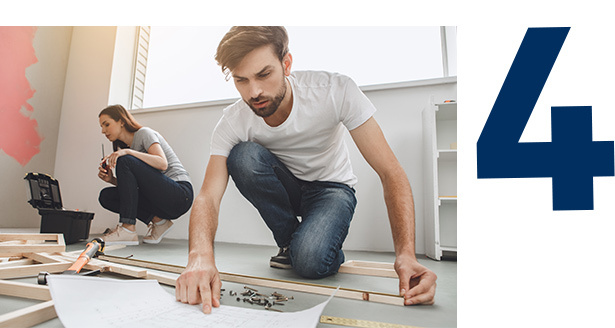 Builders and remodelers could benefit from helping millennials make the most of their budget by offering advice on cost-effective updates that will bring the most value to their home.